With its rich history, there are over 100 banqueting halls in London which are ideal settings for more formal lunches or dinners, whether entertaining valued clients or staging prestigious awards. These venues tend to be historic spaces, with a rich (and often Royal) tradition for formal entertaining. The most famous banqueting halls London has to offer include Banqueting House in Westminster and Guildhall in the heart of the City of London. Other banqueting suites in London include the many Livery Halls in the City, each established as a place of meeting and discussion for the traditional trades, many dating back to the Middle Ages. These Livery Halls vary in size from the 300-seater Plaisterers Hall to the more intimate Waxchandlers Hall, seating just 80 guests and ideal for more intimate dining. When looking to combine accommodation with banqueting suites, London hotels offer some of the finest formal dining rooms, many of which can cater for over 300 guests. These venues are very popular for awards dinners, where on-site bedrooms are viewed as an essential attraction when buying and selling tickets to these prestigious events. Many of these Halls for hire have restrictions due to their historic and valuable interiors, working practices and regulations. These often include strict finish times for evening events and restrictions on live music and dancing, so make sure you understand these from the outset. Banqueting suites in London have a wide range of catering policies including single tied caterers and a list of approved caterers. It is important to have firm quotes from caterers, including drinks prices, before committing to hiring the Hall, since prices vary greatly by venue. When looking to deliver high impact events in banqueting halls, London production companies have excellent experience in working in these challenging spaces, so make sure you use a partner who has a great track record in your chosen dining venue. 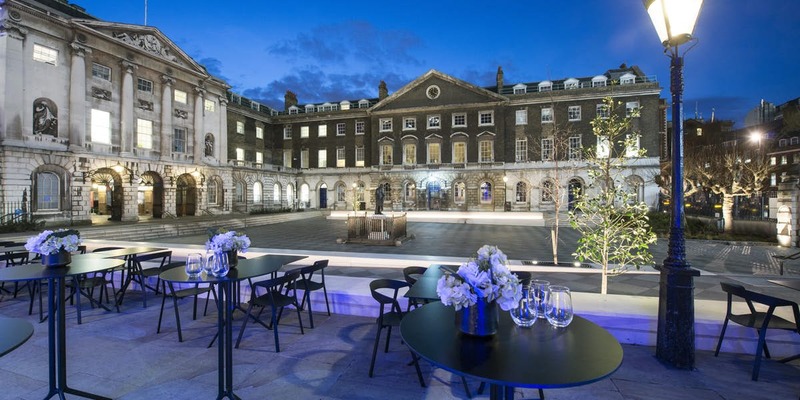 When it comes to banqueting venues, London has a vast array of choices, so make sure you make time to visit all of your shortlisted venues to ensure that you make the right choice.